Can the IRS Take My 401(k) Money if I Owe the Agency Money? A 401(k) plan is a retirement account managed for your benefit by a professional management firm selected by your employer. These accounts vary widely in their details. While the Internal Revenue Service can, and does, levy against 401(k)s and other retirement accounts, you can find ways to avoid it. Furthermore, how the money comes out of your 401(k) determines if you are penalized for the withdrawal. If you owe the IRS money due to back taxes or other debts, they are legally entitled to levy your 401(k) and other assets you may have. This generally only happens as a last resort, however. An IRS levy authorizes legal seizure of your property. This is an unrestricted right to seize your assets, including retirement accounts and accounts held overseas. An IRS levy differs from an IRS lien. The lien, a less drastic step usually taken earlier in the seizure process, locks your asset in place; you can't take money out of a liened account or move it to another management company or bank. But it's still your money. An IRS levy, on the other hand, is the document that describes the seizure of the asset, which is no longer yours. 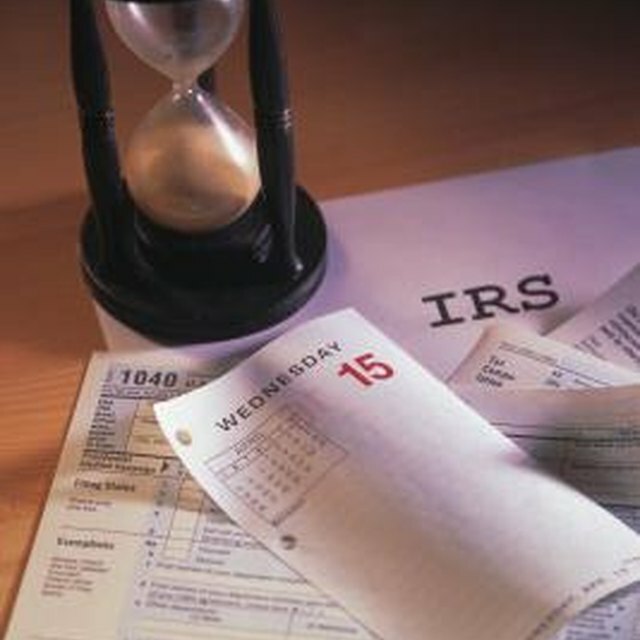 An IRS levy is a drastic step, but it comes after a number of opportunities to halt the process. First, the IRS sends you a bill for taxes due. If you don't pay it, you'll eventually get a "Final Notice of Intent to Levy and Notice of Your Right of Appeal." After that, you have 30 days to appeal the levy. Between the time you receive the bill and the notice of intent, unless you deliberately refuse communication, you will almost certainly have had discussions about your tax debt with one or more IRS representatives. The IRS levy is an attack on your assets, but it's not a sneak attack. The Taxpayer Bill of Rights, federal tax legislation passed in three stages beginning in 1981 and concluding in 1998, assures that you have a chance to talk over your tax problem with IRS representatives, including an ombudsman, or taxpayer advocate. When you get your first bill from the IRS, it includes a copy of the IRS document "Your Rights as a Taxpayer," which contains valuable information about your ombudsman and other matters. Does Florida's Laws Let the IRS Take Someone's Home for Back Taxes? How Much Can the IRS Garnish My Wages? You have a right to make one or more proposals to the IRS for a time payment of your debt. The IRS has a congressionally mandated obligation not to refuse a reasonable proposal. If you and the IRS agree and you fulfill the agreement, you won't be liened, nor will the IRS levy your 401(k) or any other asset during the repayment period. In general, working out a payment plan with the IRS is far preferable to having assets levied or liened. Levies and liens appear in your credit report and seriously damage your credit score for seven years. If you voluntarily withdraw money from your 401(k) to repay the IRS, the amount removed is subject to a 10 percent IRS early withdrawal penalty, but you might be able to avoid this problem by taking a hardship distribution. Talk this option over with your tax adviser before proceeding. Your IRS ombudsman and your tax professional may suggest more alternatives. Investopedia: Can my 401(k) be seized or garnished?